The agency has re-registered the case and formed a team to investigate the terror strike in which 40 CRPF personnel were killed, an NIA spokesperson here said. The state police had registered a case at the Awantipora police station on February 14 after a suicide bomber blew himself up next to a CRPF bus, which was part of a 78-vehicle convoy carrying over 2,500 personnel on their way from Jammu to Srinagar. 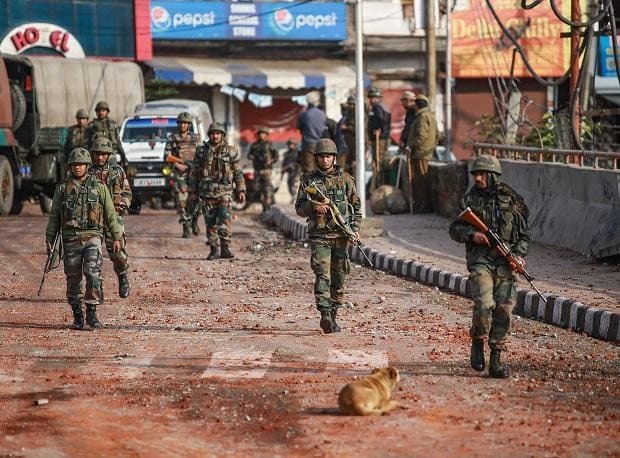 The NIA has already gathered explosive material from the blast site in Lethpora in Pulwama district of south Kashmir and has been involved in the questioning of around a dozen people detained by police following the bombing, officials said. The agency has also met senior police, intelligence and army officers to gather whatever evidence they have, they said. The NIA will probe the planning and execution of the terror attack, the second such in three decades of militancy in the state. In 2000, a 17-year-old Kashmiri boy had blown himself outside the Srinagar-based army cantonment in year 2000, killing two Army men. On Monday, three Jaish terrorists were killed in a 16-hour operation in Pulwama's Pinglan area, 12 km from the spot of the February 14 attack. An Army major and four security personnel also lost their lives. Police and the Army announced Tuesday that these terrorists were responsible for last Thursday's attack.